On Friday, January 11th, 2019, Elon Musk tweeted the first official image of the completed Starship Hopper, the new SpaceX vehicle intended to be an atmospheric test vehicle for the company’s massive Starship vehicle that forms the upper stage of what used to be called the Big Falcon Rocket, the huge lunch system SpaceX is developing. 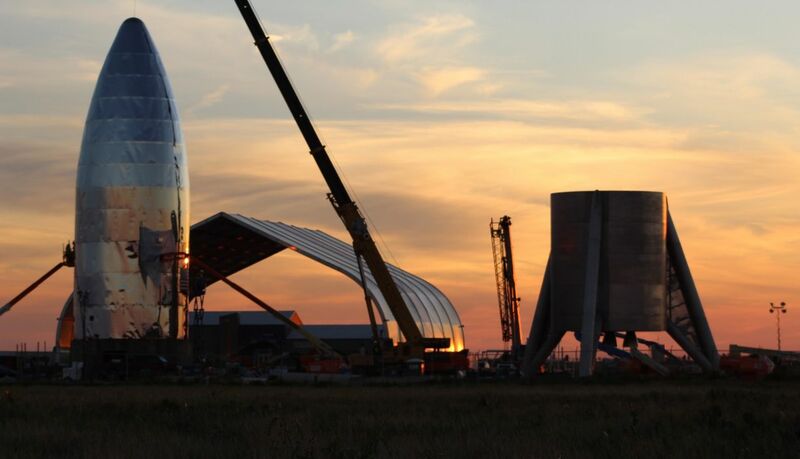 The vehicle has been under construction at the SpaceX test facility at Boca Chica since December 2018, with the work, surprisingly, being carried out in the open, allows passers-by to photograph and film the work and post to assorted social media, causing something of a stir. Hopper is not as large as the operational Starship vehicle will be (it is around 40 m / 130 ft tall, compared to Starship’s 52 m / 169 ft height). 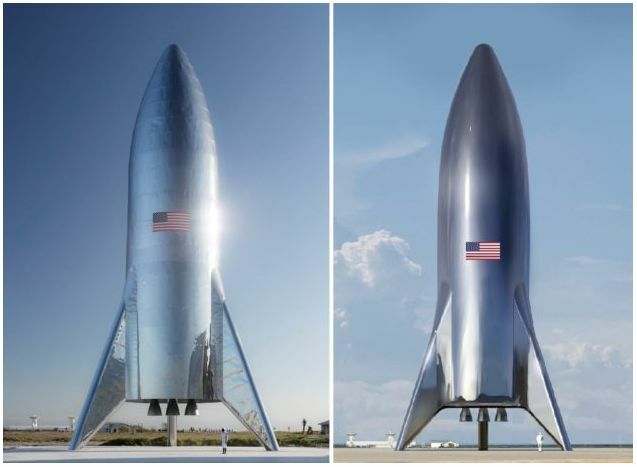 However, it is the same diameter (9 metres / 29 ft) and highlights the “radical” redesign of the vehicle, such as its more “retro” rocket ship look, and redesigned tail fins (which also double as its landing legs). The vehicle is intended to be self-powered, using its own engines to fly to altitude, before making a controller descent and landing in the same manner as the full-sized vehicle. In this, its function mimics that of the SpaceX Grasshopper – a specially designed Falcon 9 first stage the company flew in order to learn about the handling characteristics of a Falcon 9 first stage attempting to make a controlled landing after a launch. Flights will initially be to low altitudes, then increase in height. While Musk’s tweets indicated assembly of the vehicle was finished, further work is required to replace the temporary motors fitted to the vehicle with the flight-capable, methane-fuelled Raptor engines that will power it during ascent and descent. By the time the engines are fitted, the tail fins will have been fitted with shock absorbers to protect the vehicle against the impact of landings, and landing pads. The “wrinkled” look to the vehicle’s hull is the result of the hull sections being made from a type of stainless-steel alloy which it is believed will be withstand atmospheric entry without the need for complex (and heavier) surface layering, such as reinforced carbon-carbon. Musk has indicated that the skin of the actual Starship will be smooth, and the vehicle will have “a smoothly curving nose section” (and windows). The long-duration spacecraft capable of carrying passengers and /or cargo to interplanetary destinations such as the Moon and Mars, to LEO, or between destinations on Earth. A propellant tanker design to refuel other spacecraft – notably the passenger vehicle – whilst in low-Earth orbit. A satellite delivery spacecraft with a large cargo bay and forward door, capable of placing both satellites and other payloads in Earth orbit, or recover items for return to Earth. The accelerated pace of Starship / Super Heavy development is in keeping with Musk’s goal of flying Japanese billionaire Yusaku Maezawa and an entourage of artists around the moon and back in the mid-2020s. However, it comes at something of a cost. On the same day as Musk tweeted about the Hopper, SpaceX announced it would be laying-off around 10% of its current workforce, some 600 people, as it refocuses efforts on its new launch system and its broadband satellite system. To continue delivering for our customers and to succeed in developing interplanetary spacecraft and a global space-based Internet, SpaceX must become a leaner company. “Either of these developments, even when attempted separately, have bankrupted other organisations. This means we must part ways with some talented and hard-working members of our team. To further provide revenue, the company is also mid-way through a US $500 million funding round. It sounds like something out of a Steampunk novel, but a collaboration between a private space company and the University of Central Florida has shown that a vehicle sent to the asteroids could explore them “indefinitely” using steam power to propel itself from asteroid to asteroid. 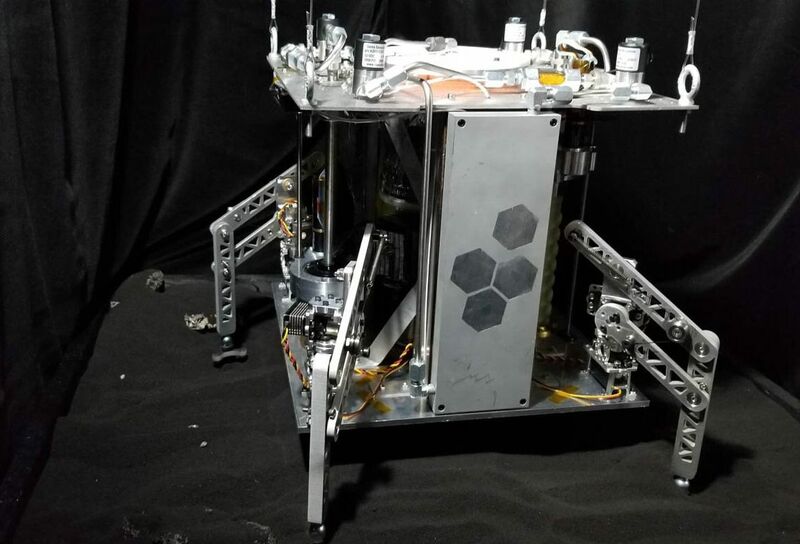 Honeybee Robotics, based in California, and the University of Central Florida (UCF) have developed a vehicle they called World Is Not Enough (WINE), capable of extracting water from asteroids or other planetary bodies, which it then uses as steam to propel itself to its next mining target. This effectively means it – or a vehicle like it – could become capable of indefinite self-refuelling and explore somewhere like the asteroid belt for decades. UCF planetary research scientist Phil Metzger performed extensive computer modelling and simulations over three years in order to show the feasibility of steam propulsion, with the university developing simulated asteroid material that could be used as a feedstock. This work allowed Honeybee Robotics to build the microwave oven sized prototype, with Florida-based Embry-Riddle Aeronautical University providing the steam-powered rocket motors. The complete system was demonstrated for the first time on December 31st, 2018. It’s awesome. WINE successfully mined the soil, made rocket propellant, and launched itself on a jet of steam extracted from the simulant. We could potentially use this technology to hop on the Moon, Ceres, Europa, Titan, Pluto, the poles of Mercury, asteroids—anywhere there is water and sufficiently low gravity. One of the biggest constraints on robotic missions is the amount of fuel they can carry for manoeuvring. Being able to generate its own rocket propellant in the form of steam frees a vehicle from this constraint. All that is required is a suitable feedstock (and there is ice aplenty to be found throughout the solar system) and electrical energy, which could be supplied via solar panels or a small nuclear RTG “battery”. Funding for the project has thus far been supported by the NASA Small Business Technology Transfer programme, intended to foster collaboration between universities and small businesses in the development of marketable commercial products. UFC and Honeybee are now seeking partners to continue development of the system.